You have built up your own network of freelancers over the years. Add them to Storyhunter with the click of a button. Then manage them together with the freelancers you find through Storyhunter. Welcome to your new freelancer rolodex, accessible from anywhere. 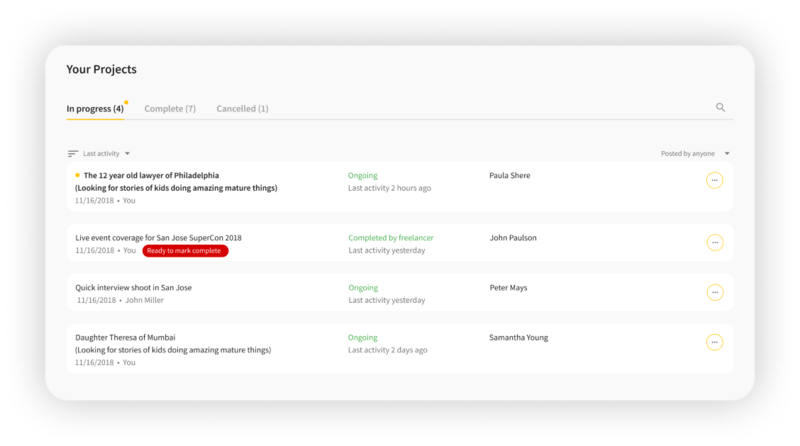 Storyhunter’s project management tools are specifically designed to make content production more efficient. 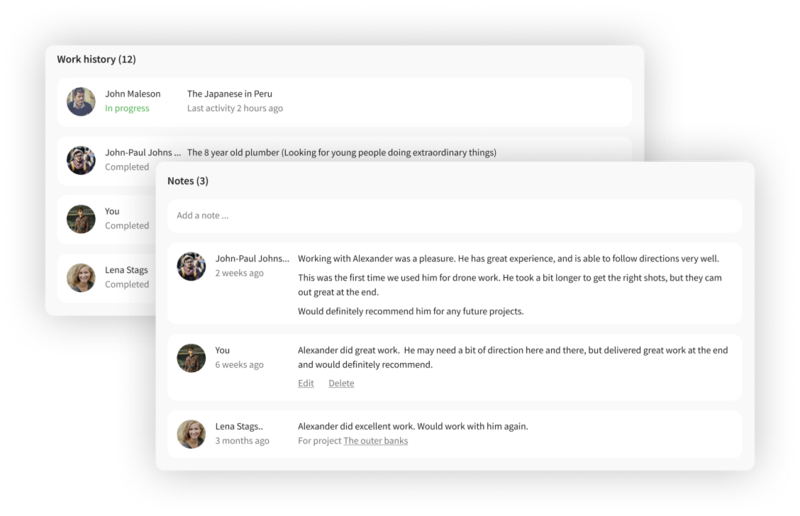 They help you collaborate and communicate in real-time with your team and freelancers. And they help keep you organized. You can view and manage your projects, assets, contracts, cash advances, payments, and messages — all in one place. Stop worrying about wire transfers, checks, or Paypal payments. 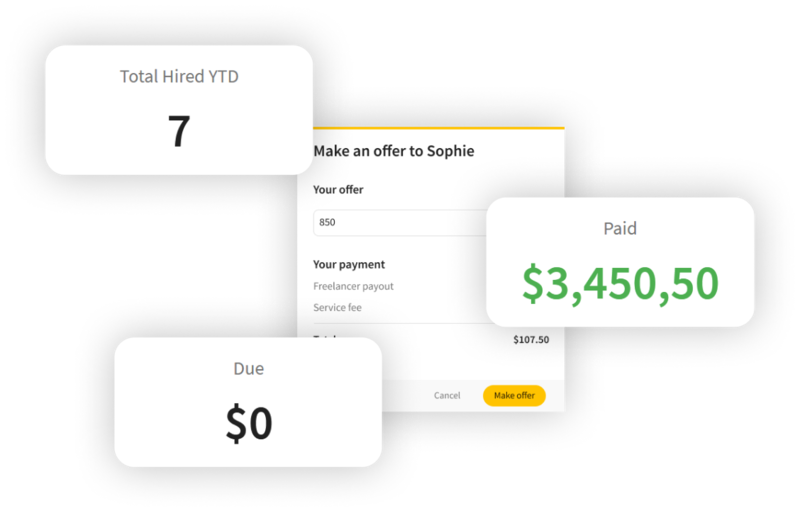 Whether you’re hiring an individual freelancer or an entire crew, we offer simple and fast payments, guaranteeing payment to your contractors within 30 days. Worried about taxes at the end of the year? Please don’t. We offer 1099 tax filing on your behalf and downloadable accounting reports. 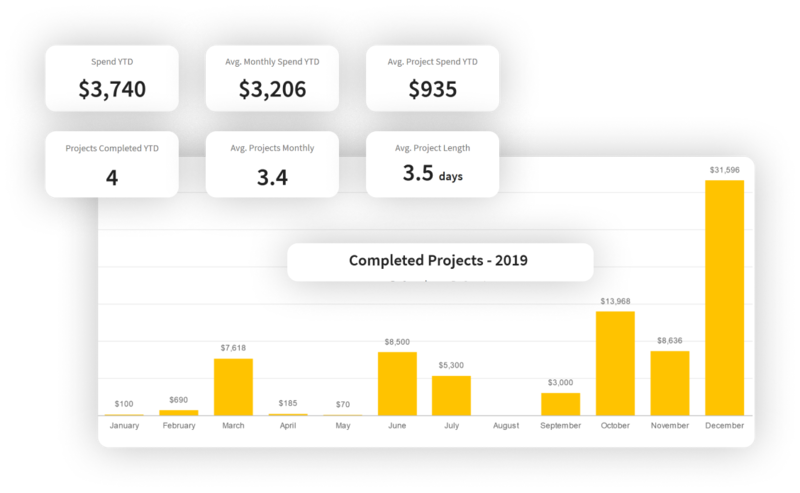 Storyhunter keeps your finance team happy by tracking project spend with always up-to-date reports. View detailed information about your projects, freelancers and invoices in our reporting dashboard. And if needed, easily download your information.